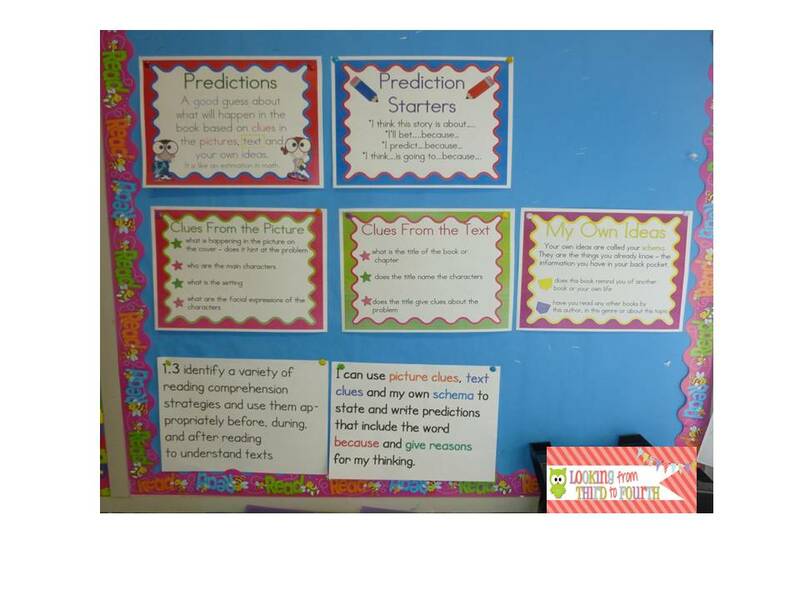 Super quick blog post to show you how I use the posters and books in my class that I blogged about on Sunday. 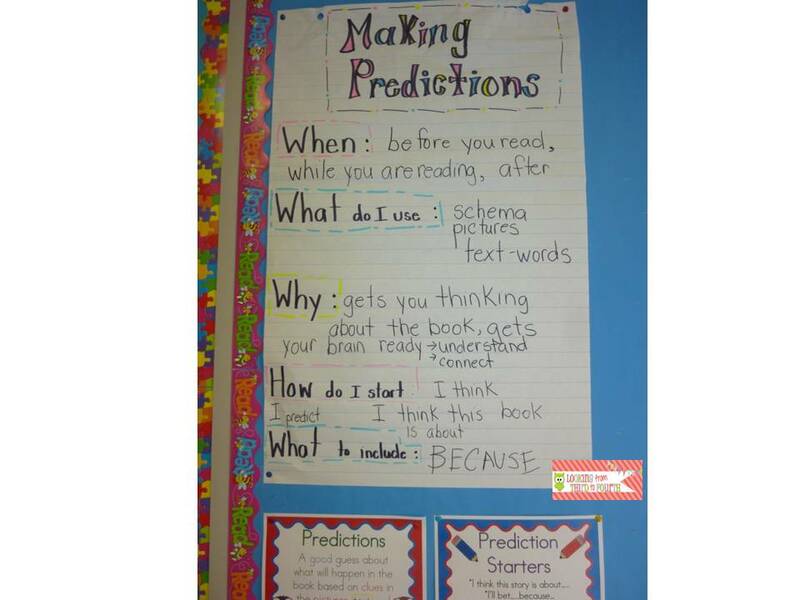 First we made this anchor chart to review what we already knew about predictions. Then we went over what we use to make predictions - clues from the text (the title of the book), clues from the pictures (our favourite) and our schema (a word they love to say!). We also reviewed how to start writing a prediction and our learning goal (I post the curriculum expectation and a kid friendly version). Click here for a free copy of the prediction mini-posters. Then we practiced identifying clues and our schema as a group. I recorded their ideas (in my messy writing). I highlighted the points that go with pictures, text or our schema using different colours. 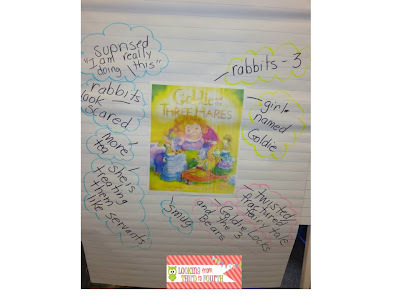 Then we made predictions orally using "because" and ideas from the chart. I print off copies of the book cover to use for my group lessons and for the students to refer back to . Today we did another group sample and then they completed the prediction sheet after some brainstorming together for the book "The Great Sheep Shenanigans" which they loved. I would love to read a blog about poster wrecks - I can rescue some from the recycling bin if you need photos! I really like how you post the kid friendly expectation next to the technical standard. Great idea! Thanks, I like to read the technical one first - just to watch their faces go blank. Thanks! That is what I will call them now, "authentic", has a nice ring to it! Sorry! Didn't mean to delete my comment...Is it possible to get the mini posters? It says the link is disabled. I would love to share them with my teachers at our school! Thanks for letting me know about the link - I updated the link (Dropbox disabled it!!). You are a no-reply blogger so I do not have your email - I hope you check back to see this message! !